We recently told you that Google was lobbying Nevada legislators to make driverless cars legal on state roads, and now it’s official – Assembly Bill No 511 just passed! 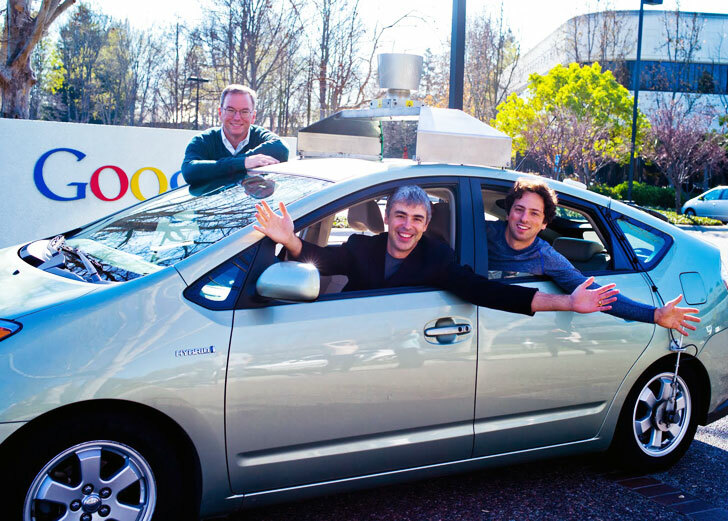 The legislature makes it legal for Google’s automated Prius and Audi TT fleet to cruise Nevada roads. But this isn’t just about the next industry Google is aiming to take over – read on for a closer look. Several companies have been working hard to create technologies that bridge the gap between today’s driver assistance tech and what they see as tomorrow’s driverless cars. The idea behind this is that driverless cars could avoid more crashes caused by distracted driving. But just how far can this go – would you trust your car to drive you to work? And who will write the software to make this possible? We know one thing for sure: we’d rather have a Google, Apple or Linux car than risk the Microsoft blue screen of death while traveling 80 miles an hour to work. Check out the video above to see what Mashable thought of the driverless fleet. If the driverless car industry moves on to cover more countries worldwide, then I personally would prefer Google to write the program for the assistant driver. This is because they have so far proven their ability in making successful applications like Google Maps and Google Earth so we can rest assured that we will be taken to the correct destination. It's a car that incorporates a “temporary auto pilot” (TAP) that can drive at up to 80 mph. The car will steer within lanes, avoid and pass other cars, and obey speed limits. Unlike a fully driverless car, the temporary auto pilot is for highways only and can’t navigate town and city streets; it requires a human observer to watch for emergency situations. But it should greatly reduce accidents due to distracted driving. he actual cost of the hardware and software required for TAP is probably low–less than $1,000 per vehicle for any auto that already has electronic steering, braking, and an automatic transmission. What's one kilo for a small car, it's a bargain. No doubt the automakers will put these in the expensive cars first then showcase them to cheaper cars the way they've done with nearly any automobile tech through history. Cruise control / adaptive cruise control is more used in autos. Putting them in cheap cars is only a thousand dollar option, again negligible. Once 20 percent of the American auto fleet has adaptive cruising in use, we will see traffic congestion cut in half with big fuel savings with that traffic. Direct injection, once only found in luxury cars engine is more available in cheaper cars. Eventually they will all but replace traditional fuel injection systems just like fuel injectors replaced the need for carburetors and fuel economy will improve with direct injection. I've had Apple machines crash on me many more times than Windows, so I'd only trust Google out of the three. Besides, a Mac OS Prius? The smugness from sitting inside would kill a human. OMG YES! I'm moving to Nevada! We recently told you that Google was lobbying Nevada legislators to make driverless cars legal on state roads, and now it's official - Assembly Bill No 511 just passed! The legislature makes it legal for Google's automated Prius and Audi TT fleet to cruise Nevada roads. But this isn't just about the next industry Google is aiming to take over - read on for a closer look.